The Frederick Douglass girls are clear front runners in 1A right now with the likes of Malia Watkins and Autumn Winston leading their dominant sprint crew. Watkins has the top time in 1A for the 100 (12.09) and 200 (25.21), while Winston leads the classification in the 400 at 57.40. Their 4x100 at 47.86 is near a 3 full seconds faster than the next best relay squad in 1A. 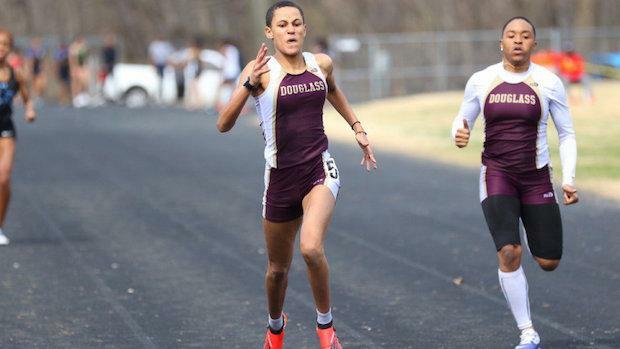 Virtual meet rankings for every classification in the state of Maryland based on performances in the MileSplit.com database as of April 4th. Virtual meet rankings take the top 8 performers in each event and score as a virtual meet.